Welcome to this week's Nurrunga. 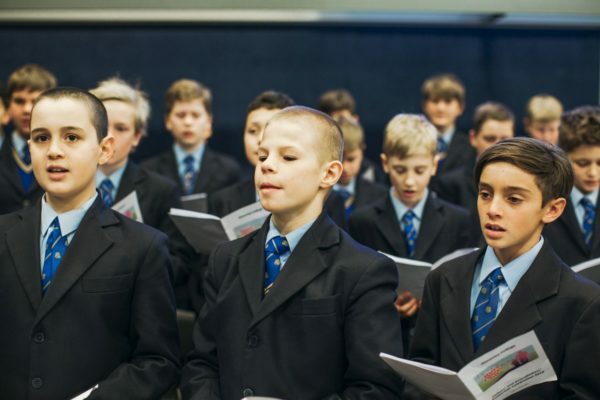 Read about the recent Fathers' and Grandfathers' Day Mass, the Tevlin House Sleepout with the Wayside Chapel among a number of social justice activities, and catch up on the latest news and updates from Waverley College. The past few weeks have been very hectic for both staff and students in the Music Faculty. We have 18 places available, which will be awarded to the first keen parents to apply. Congratulate to all the students who had wins at Saturday's carnival. Information on Sporting fixtures, locations and results for Waverley College students. Waverley College has been advised of the following bus service changes in the Eastern Suburbs from 23 September 2018. The 333 bus will turn into a ‘turn up and go’ service. Its’ frequency removes the need for a timetable. The 333 will arrive as often as every three minutes during peak periods, up to every six minutes at other times during the day and every 10 minutes at night, seven days a week. Changes will also be made to other routes in the eastern suburbs. These include route changes for four routes that currently operate to Bondi Junction – the 382, X79 and X84 from North Bondi and 361 from Tamarama. There will also be route changes for the L24, 380 and 381.